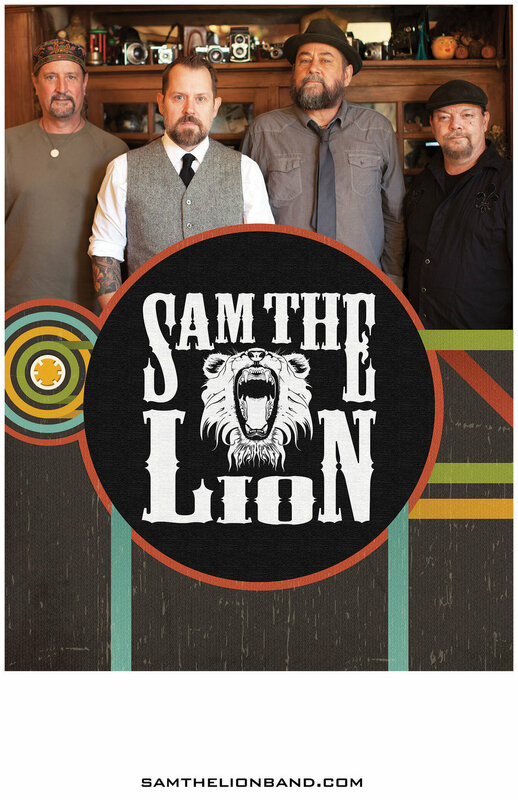 Sam the Lion is an Americana band from Fort Worth, Texas. Fronted by songwriters Chris Allen Curtis and Ed Rogers, the band dishes tasty arrangements of original tunes with ramshackle energy. Their songs defy genre and run the gamut from alt-country twang to soulful funk, from soaring ballads to gutsy rock and roll. Both men are accomplished vocalists and guitarists, as evidenced by Rogers’ work on his 2003 release Misery and Gold and the 2014 compilation Safely Down: The Songs of Jason Jackson, and by Curtis on his 2013 album Un Hombre, No Moderation and 2018’s The Shameless Boohoos This Texican-American Life. The band is rooted by the powerhouse rhythm section of longtime collaborators Matthew Williams and Rodger Harrison, a two-headed monster of cadence, funk and meter. The band is currently working their debut album with producer/engineer Ron Flynt at Jumping Dog Studios in Austin.